After being kind of burnt out from #vanlife, I needed a break from being only in the van. For my birthday in June, I wished for 1 week out of the van, which has now turned into 3 months in a beautiful little guesthouse in Popoyo, Nicaragua. 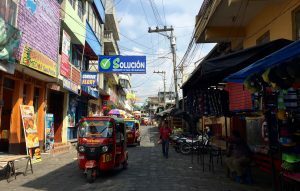 However for the last few days we’ve been roaming again in Nicaragua; in Managua, Playa Gigante and now San Juan Del Sur. I have to admit we love being in the van too, roaming free & wild in our cozy little home. 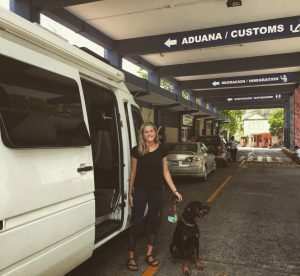 After nearly a year and a half roaming, with the last few months in and out of it, I have been thinking a lot about the trade offs between comfort and the vagabond, van life, so I thought I’d share them here. There is so much hype and glamour around travel, van life & overlanding lately. Yes, some is correct in how beautiful it is, but to both Josh and I, when only the good is portrayed, it isn’t realistic, nor authentic. 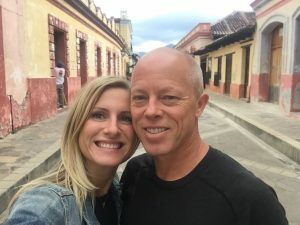 We both strive to positively effect lives, to inspire others to go out and chase their dreams, and this chapter in our lives has been about inspiring others to travel more, wander more, have less “stuff”, live minimally, worry less, and live more. We also both feel really strongly that inspiration should be through a true, honest depiction of the life lived, not some unobtainable, social media hyped, dream where every single day is perfect. That “perfect” crafted vision (no different from a commercial) puts the life out of reach of the average person, who feels they are so far away from that in their everyday life. Honestly to me living in the van you give up a lot of comforts; at times it’s freeing, at times it can be frustrating, at times the things you experience are exciting, and at times it’s exhausting. 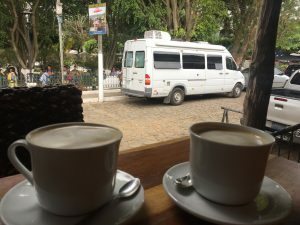 There are many comforts you give up traveling in the van; not having reliable and easy water access can be a struggle; so showering becomes more work, dishes become more work, cooking can be more work. It’s a small space so things get dirty fast and easily. Being so nomadic, I miss close friends and a stable community. We always find lots of friends but they change rapidly, and that can be hard on my fragile little heart. In a vehicle, the climate effects you so much more; the heat is harder, the rain is ever more present. There can also be frequent stresses from living while traveling; like where do you get groceries, dog food, do your laundry, get the proper currency, find the right highway, as the sun begins to set, find a safe place to sleep. Those things seem small and easy, but at times when you are exhausted, hot, don’t speak the language, and your phone doesn’t work, they can tear you down a bit. If one of us are stressed we have no space to go but just stare at each other in the small space of our van and put those stressors on the other. Yet, there are so many beautiful things about living in a van, wandering as vagabonds. For all the friends and community I miss, we have met so many incredible and inspiring people, many that I have formed deep and meaningful bonds with. They have have taught me much, inspired me tremendously and we’ve been fortunate to have shared many, many happy memories with. I feel honored to have shared moments with them. For the few arguments Josh and I have in the van, it’s taught me how to confront my own conflicts, communicate my needs and hurts and then resolve things. Because really, in a van, in any such small space, sharing every single thing together, you have no other choice. It’s evolve or run! This has strengthened us as individuals and as a couple more in this year and a half, than I could’ve ever ever imagined. Traveling with someone in another country for a few weeks you learn a lot about them… imagine a year and a half in a small van. We know each others breaking points and desires well, and have become so much stronger, closer and better together because of it. 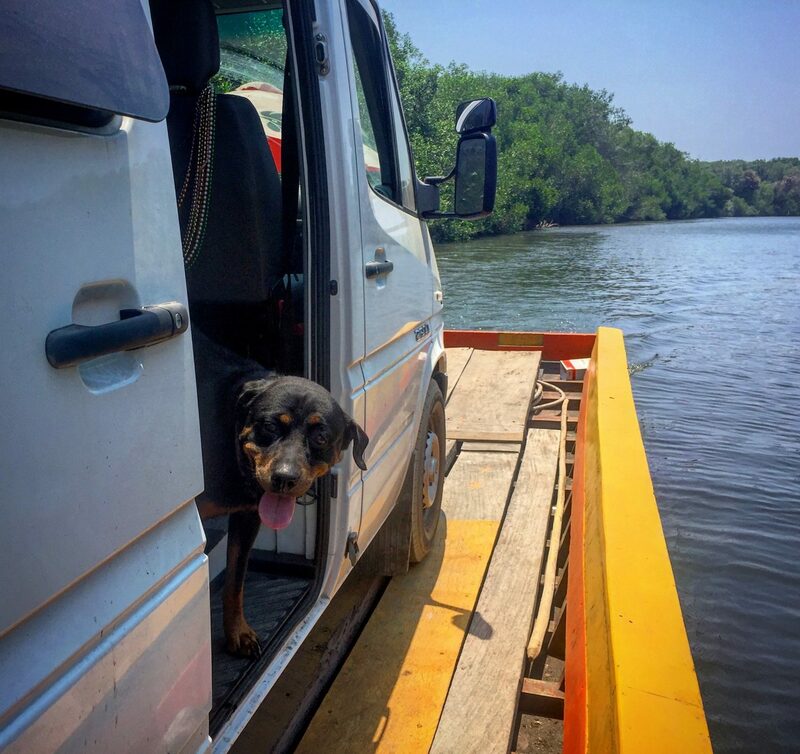 For the comforts we don’t have in the van it has taught me one of the best lessons in life; we don’t need any of those things that will supposedly make us “comfortable” to be happy! You actually don’t need loads of water for dishes to feel satisfaction in life, you don’t need loads of space to love your home and the people that are in your life. You realize how little you truly need to be happy and fulfilled. Usually less gives you more. 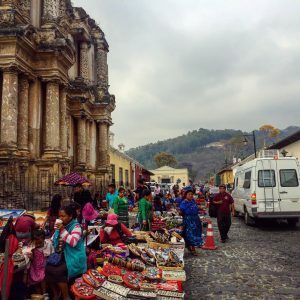 Of course the more obvious benefits about vagabond life in a van; the deep joy and amazement of the many little towns we encounter, off (and on) the main tourist track, the many places that we have fallen in love with. The colors, the life and the culture that we get to experience, because we are truly living in these places as we travel through. I feel we experience the places we have traveled in such a deep way because we don’t just breeze through in a tourist bus or via plane. We set up our lives, our home and exist in these places; for a few days, weeks or a month. You definitely experience the actual culture and the life of these places when you drive your home in and meld with the surroundings. The things we are able to see and experience while driving across the city, the countryside, the mountainside, or the coastal roads of each region, are the moments in life that are the richest, the most meaningful. They have no dollar value, they have taught me deep life lessons, they are the moments I will always cherish, for the rest of my life. Love your blog. Miss you guys like crazy. Wish we could experience some of your travels with you. We love hearing about your ups and downs and general lessons and experiences in life. Stay safe and come visit any time you guys can. I’ve been thinking about this stuff a lot lately. I want to make sure this life looks accessible to those who’d like to break out onto the road. 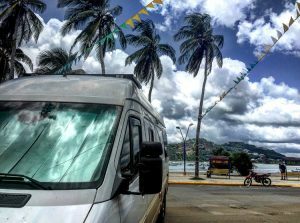 Social media and the general hype around “vanlife” and “overlanding” make everything look much too perfect. It’s good for us to throw a little dose of reality in once in a while..